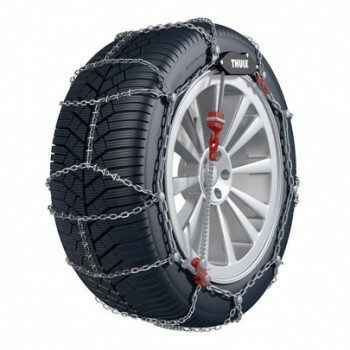 The self-tensioning snow chain with high performance. Premium quality construction with hardened Manganese Nickel Steel Alloy (MnNi) for greater reliability. Dual-sided D-shaped links providing greater traction and longer life. Colour-coded parts for easy mounting. Homologations in line with European and American requirements. Exclusive, stylish, hard-sided packaging, complete with gloves, kneeling mat, mounting instructions and spare parts. Homologations: Ö-Norm 5117, CUNA, TÜV. Asymmetrical diamond pattern chain with icebreaker reinforcements - the best grip on snow and ice. 10 mm inside and on-the-tread clearance. Anti-scratch nylon bumpers protecting alloy wheels (optional application).